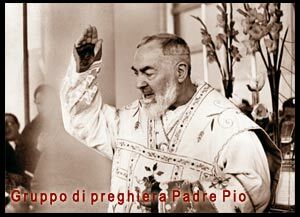 The school fellow that writes a love note signing it Francesco, future Padre Pio, means only to joke. This will cost a lot to the dear Francesco who anyway, just doing this, reveals his vocation to pay for other people. “I love you so much”. It caused a lot of troubles! Oh,how beautiful is God’s praise on the children’s mouth. Now it’s a prophecy. Beautiful the same. The well in question is located at Piana Romana. and the strength of a lion. You, Grazio, dig and dig. but you can’t see any water. The one’s innocence and the other’s fear compelled God to become a doctor and more than a doctor. Mother’s love, together the fascinating nature and God too,protects some innocent sleeping babies. A nest of little birds. Hungry or not,the pleasant smell of the bread makes you longing to taste it. But the empty pockets like the worn- out shoes, remind the little boy the harsh reality. He’s poor! His mother, rich in faith, says that is not poverty. “ The Providence exists ”, the protagonist in Manzoni’s masterpiece says. The poor know it, experience it, are grateful of that. God blesses the poverty accepted or chosen in his name and waiting for the Kingdom of Heaven. “ the month is already over!